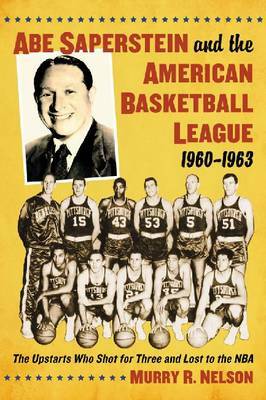 This book examines the American Basketball League and its short-lived history, beginning with its conception in 1959-60 and its two seasons of play, 1961-1963. The league was the first to use a trapezoidal, wider lane and a 30-second shot clock, as well as the 3-point shot. With a team in Hawaii, the league created an adjusted schedule to accommodate the outsize distance. Many players such as Connie Hawkins and Bill Bridges and coaches such as Jack McMahon and Bill Sharman later found their way to the NBA after the collapse of the league, but it took more than 15 years for wide acceptance of the 3-point shot. John McLendon and Ermer Robinson were the first two African American coaches in a major professional league as they both debuted in the ABL.